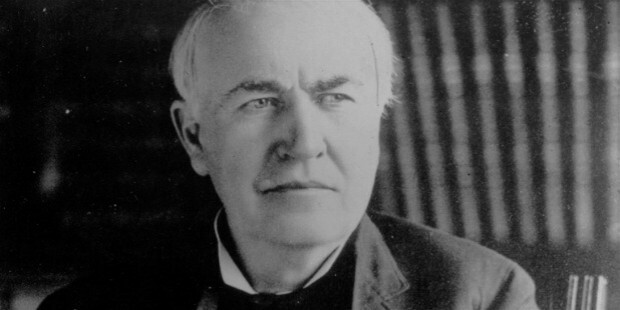 Thomas Edison (1847 – 1931) was one of the world’s greatest inventors. As a child he showed great curiosity and imagination so much so that his teachers complained that he was continually asking questions. At the age of ten he ran his own vegetable stall so that he could make money to buy chemicals for his chemistry experiments. When he was 12 he sold fruit and magazines to commuters on a train and then set up a printing press in the train to print up to date information for travellers. Unfortunately one of his bottles of chemicals broke and set fire to the carriage. The boy was fired. He learnt Morse code and telegraphy. He worked in various telegraph offices before going to New York penniless and friendless. But he had a stroke of luck. He went into a telegraph company just as the telegraph stopped working. He was the only one there who could fix it and the boss was so pleased that he gave Edison a job. He then designed a stock ticker for relaying information about share prices. He sold the design for a large sum and decided to go into invention full time. In 1877 he invented the gramophone (or phonograph as it was called) using a wax drum to record and play back sounds. He developed an improved typewriter. He and his team of scientists and technicians then went on to invent the electric light, the nickel-iron battery, a telephone mouthpiece, a dictating machine, a vote recorder and a prototype video camera. His many discoveries and inventions led to great advances in the use of electricity and the in early electronics. He introduced the concepts of large-scale teamwork and mass production to the business of invention, and consequently he is credited with the creation of the first industrial research laboratory. 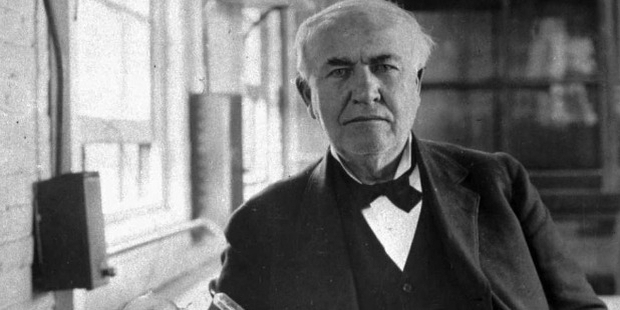 Edison is recognised as the world’s most prolific inventor. He held some 1090 patents in his name. His inventions had enormous significance leading to the widespread use of electric light and power, telecommunications, sound recording, and motion pictures. What lessons in success can we learn from the great man? Let’s pick two. First, there is no substitute for hard work. 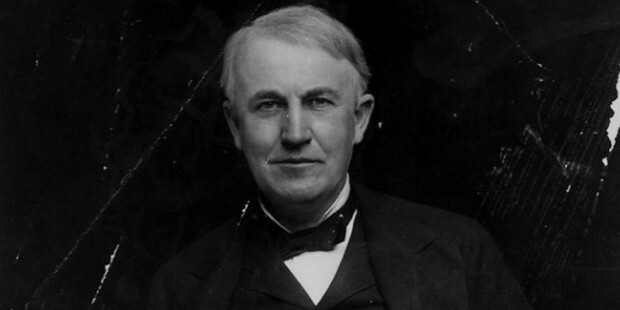 Edison famously said, ‘Genius I 1% inspiration and 99% perspiration.’ He was an incredibly hard worker and would often go without food or sleep if he was working on a tricky problem. Secondly you should gather a team with the mix of skills needed to implement innovation. Although Edison is remembered as the supreme inventor, much of his success was based on his ability to recruit, motivate and manage a great team of engineers, technicians and scientists. The team magnified his genius and turned great ideas into working systems.